All spiders are venomous. When pest managers refer to ‘venomous spiders’they mean spiders that are also potentially dangerous. We can divide these spiders into two groups: ground dwelling spiders such as the infamous Sydney Funnelweb, and Redback spiders that live above, though close to the ground. Funnelweb spiders are ground dwelling and generally are not good climbers, however over the summer months the male is largely nomadic and is quite agile. The male, who is the more venomous, wanders about looking for a mate and hides in leaf litter and under rocks and logs. It is the male that is most often encountered during the summer months after rain, when he simply walks in looking for shelter. Because the male Funnelweb walks into properties he is virtually impossible to stop with chemicals. His outer skin is a hard exoskeleton and because so little of him is in contact with the ground he will simply not absorb enough of any pesticide that may have been sprayed to kill him. Sometimes large chemical applications have been said to aggravate spiders, so whatever chemical application you attempt you should never assume that you are protected from a Funnelweb spider walking into your property. Ensure that all gaps under your doors are sealed tightly with weather-strips. Keep the yard tidy as the more things you have on the ground, the more spider harbourage you are providing. Never leave boots, shoes etc. outside over night. Never leave children’s’toys outside overnight. Check sand pits before allowing children to enter them, especially if they have a cover, because the cover provides an ideal habitat for the males to hide under. Never leave a washing basket on the ground outside, as it is a common scenario for a spider to climb inside before the basket is carried back into the house. If you have a pool, check it before swimming. A pool is like a large pit trap that catches all kinds of things, including spiders. (Snakes have also been found in pools). Never leave towels or clothing on the ground around your pool. Reduce the spider habitat around your house. Leaf litter and rockeries are attractive; however if you don’t want spiders, reduce them. Funnelweb spiders like damp South facing slopes, so be especially aware if you have moist conditions. Be especially alert for spider activity after periods of rain. Educate your children to be ‘spider aware’. Protect yourself when gardening, wearing gloves and decent boots, and keep your eyes open. 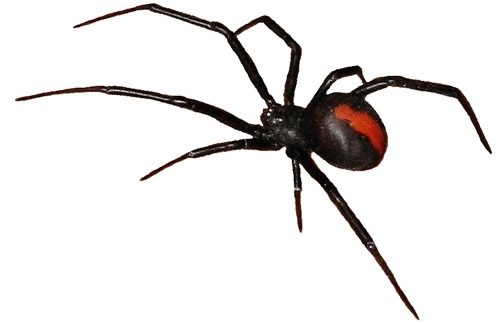 While Redback spiders are not ground-dwelling, they are usually close to the ground and like to trap crawling insects. They like to construct their webs on a vertical surface angled down to the ground and while they are very venomous, they are relatively easy to locate and treat directly with a small, targeted application. It is hard to prevent spiders from constructing webs because they spend much more time in webs than they do on surfaces. When looking for Redback spiders, the places to check would be lower outer walls, the undersides of outdoor furniture, and in the slides of garage roller doors. They also like to be in enclosed and protected places such as pool filter boxes and electrical circuit boxes. During dry times they seem to venture further from the ground and can be found in gutters and eaves, and can also construct webs off trees or shrubs onto the ground. Wear gloves when lifting corrugated iron or moving bricks, rocks or other junk piles on your property. When moving items like this you expose yourself to the greatest risk, and placing your fingers under a sheet of iron could result in a spider biting you in self-defence. Removing these favoured habitats will reduce the spider population around your property. Be aware around pool filter boxes or other similar locations for spider activity. Storerooms, or rooms that see little use, like saunas, are commonly infested with Redback spiders. Outdoor furniture should be regularly checked for spiders on the underside of seats and tables. Childrens’cubby houses are another area where spiders are commonly found, due to being constructed on poles off the ground. When cleaning up storage, protect yourself with gloves and keep your eyes open. The white-tailed spider is so named after the distinctive white spot on its rear end. 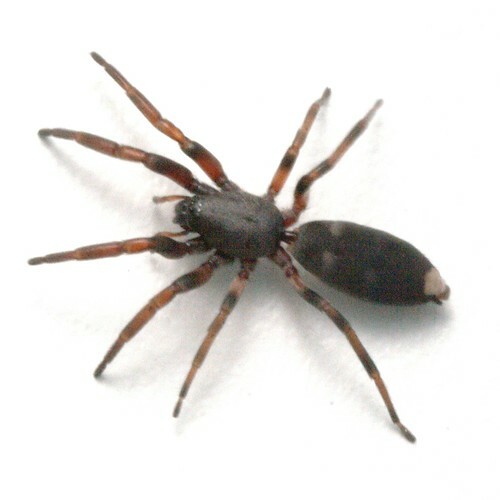 It is a fairly long, thin spider (up to about 15mm long) with the male typically smaller (only about 7mm or 8mm). It has a greyish/black abdomen and the male has reddish stripes on his legs. There is no treatment to prevent this highly mobile spider from coming into your house, but you can make it less conducive by being very tidy. Carry out treatments targeted at the black house spider to reduce possible prey and you will see a reduction in white-tailed spider activity.